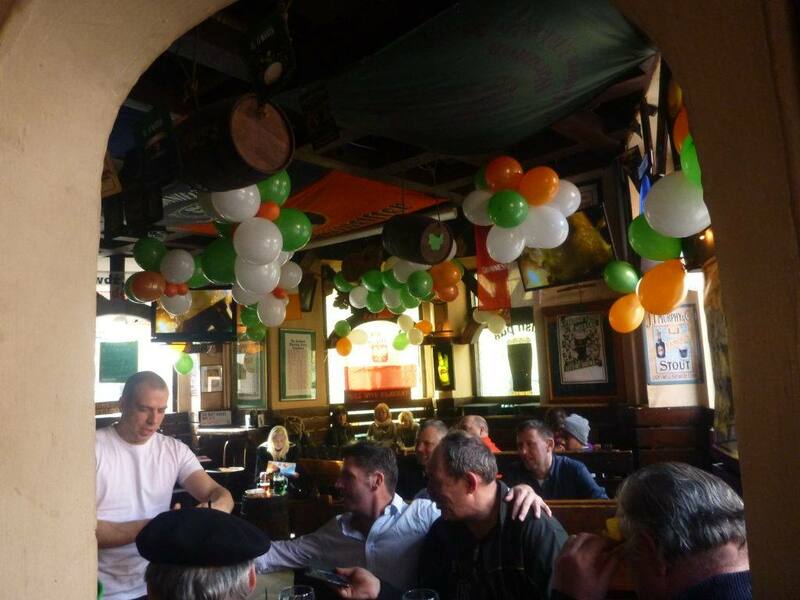 “I’ll tell me ma when I go home, the boys won’t leave the girls alone” – Irish Folk Song (Belle of Belfast City). 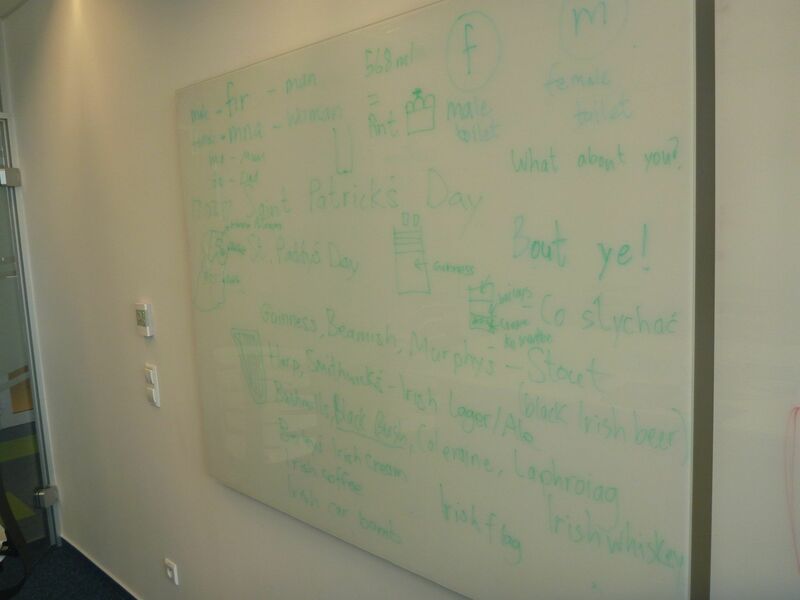 So 2017 saw me witness my first ever St. Patrick’s Day in Poland. 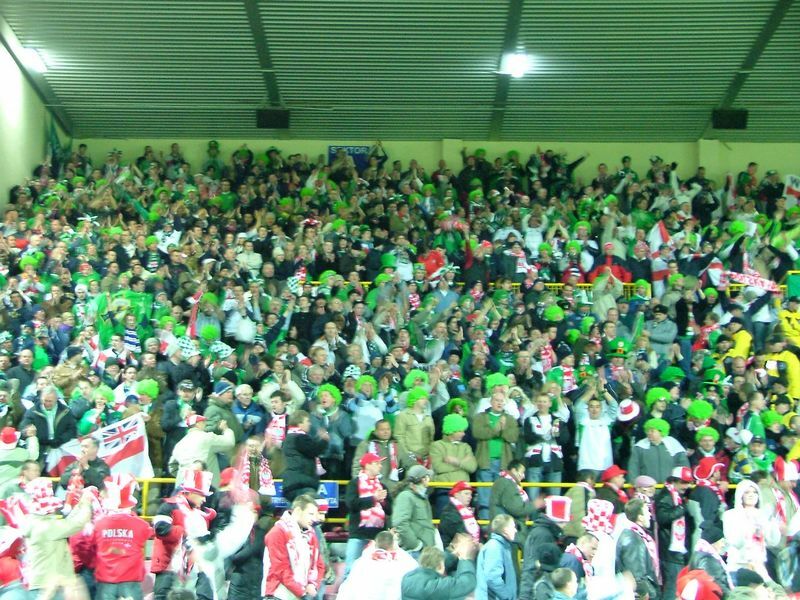 Yes, it may be hard to believe that 12 years after my virgin arrival on Polish soil, I had yet to experience this party in my new home. 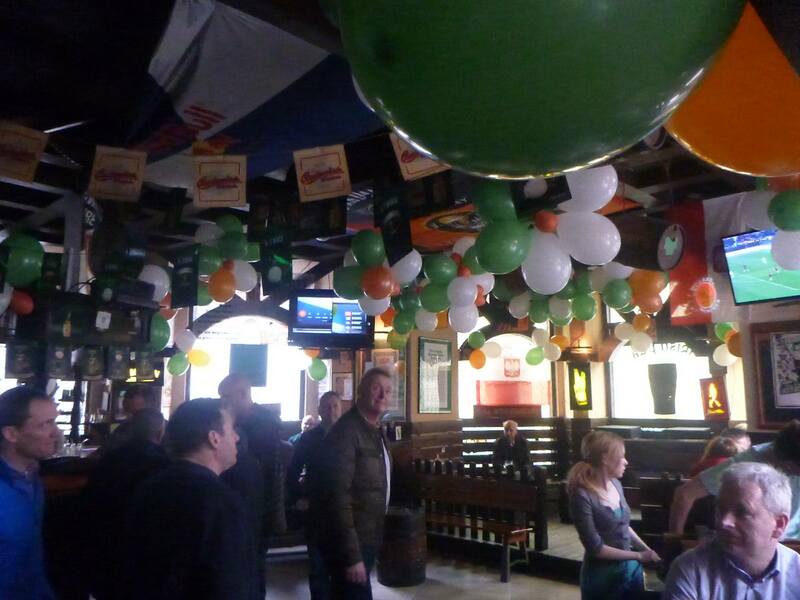 It turns out, it was worth the wait and my memories of celebrating St. Patrick’s Day in England, Northern Ireland, Hong Kong, Australia, India and other lands my travel time forgot, were worth their weight in Guinness and now, taking a new turn. “I woke up sleeping on a train that was bound for nowhere” – Noel Gallagher. “Where the streets have no name” – Paul Hewson. “In your head they are fighting, zombie” – Dolores O’Riordan. 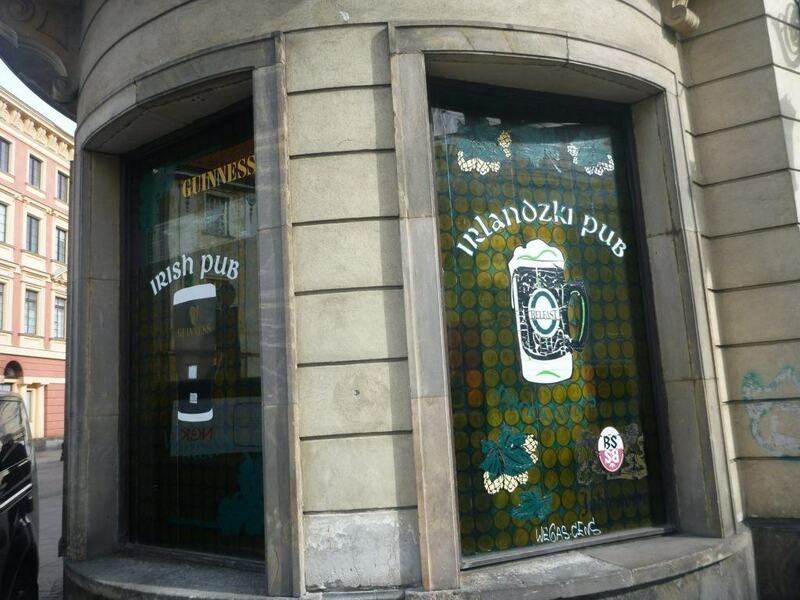 The fact is I had drank in Irlandzki Pub in Warsaw, TWICE before. 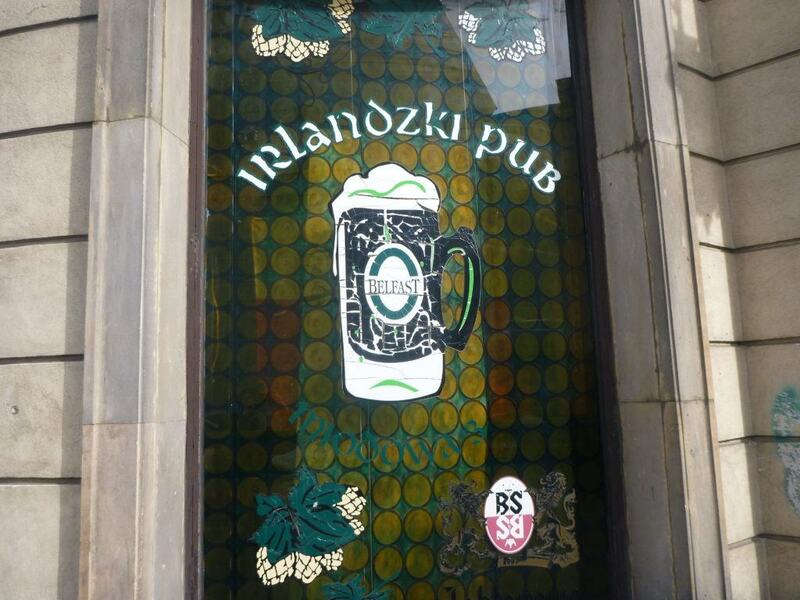 In fact, I turned 25 in this very bar and was given “the bumps” on a live video in 2005 by my friends as I sipped Polish beer on my first visit to the country. I visited this pub in 2005 and again in 2007. Then, there was a 10 year gap…until the third visit. “I just hit it” – Danny Griffin. 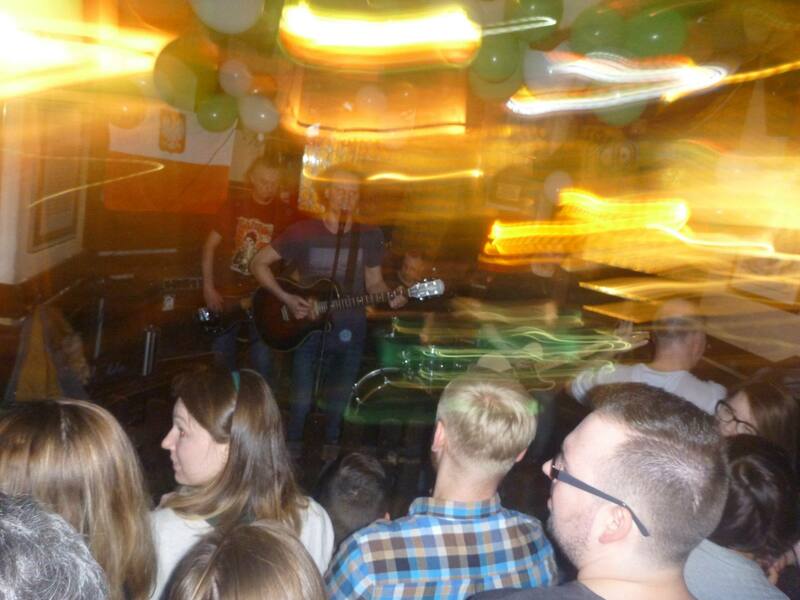 The proof – turning 25 in Irlandzi Pub, Warsaw in 2005 (30th March). 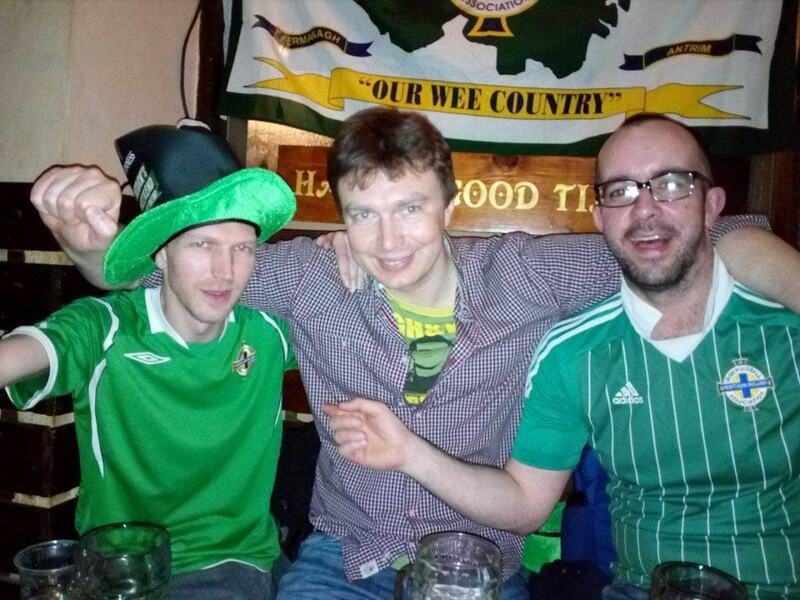 “I went to the World Cup. Some of my mates went to prison” – Norman “my hero” Whiteside (1982). “If you want help to learn Polish Jonny, just ask me” – Ola Mueller [she lied!]. 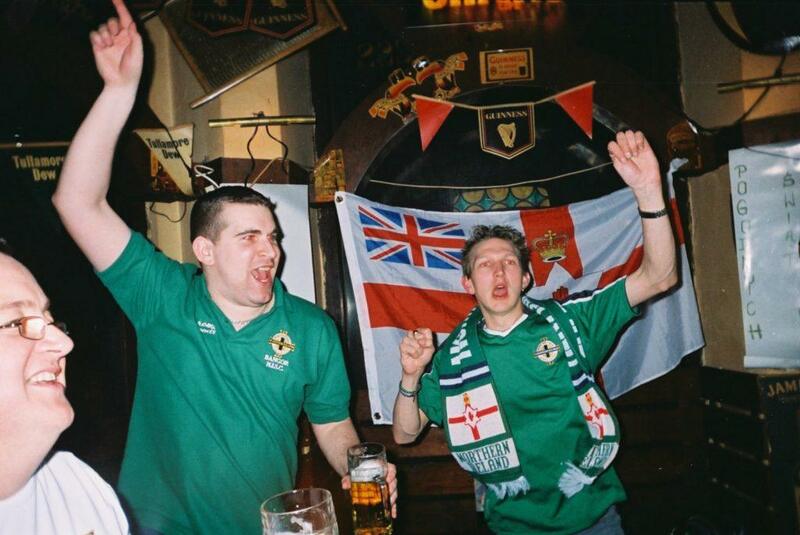 “We’ll support you evermore” – real Northern Ireland fans. So I invited my friends, asked the manager Darek to keep us a table on the busiest day of the year and so the party began. “Before my eyes, beyond the stars, beneath the sun” – Tim Wheeler. “Fish can only get battered” – Patrick Kielty. St. Patrick of course, patron saint of Ireland. Born in Wales, didn’t drink alcohol, his flag is red and white and his colour was blue. He was also buried in County Down, Northern Ireland in the appropriately named Downpatrick (a town that also spawns local heroes rock band Ash and comedian Patrick Kielty). 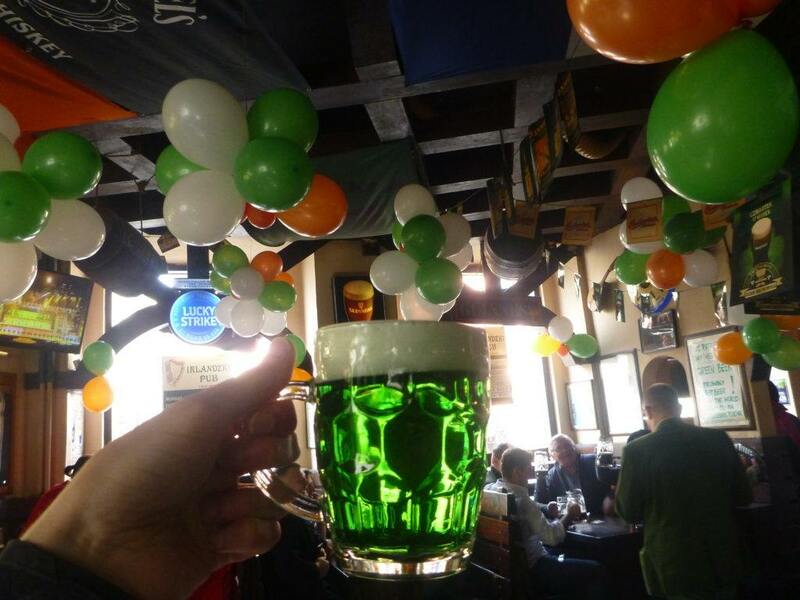 Ireland has always been an island of ridiculous contrasts though, so instead of wearing the blue of St. Patrick, we dress in green and we drink Guinness! “Things can only get better” – Patrick Campbell (via D:Ream). “Another girl in the neighbourhood. Wish she was mine, she looks so good” – Fearghal Sharkey. Even more irony is that Wales don’t even get it as a holiday. The Polish neither, but we wanted to celebrate! 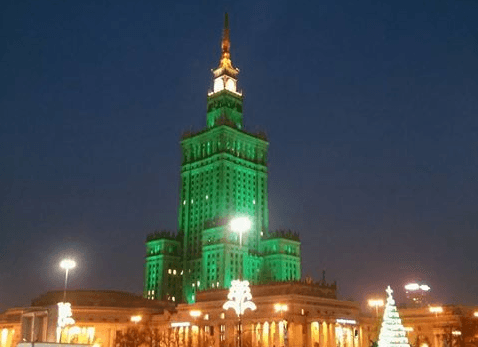 And as a surprise, I had no idea that the building that I wrote a song about, would be coloured green for the evening – yes Stalin’s Palace of Culture and Science was now Warsaw’s shining emerald! 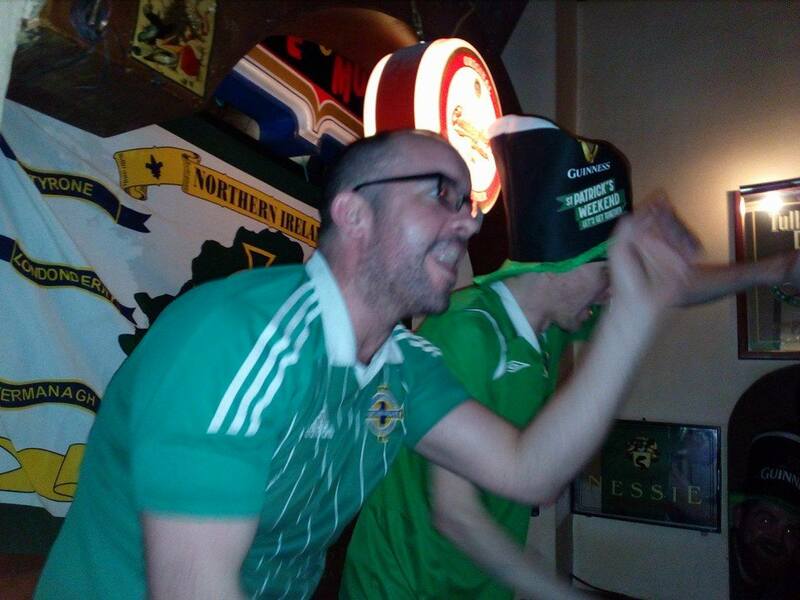 In the meantime, a Bangorian Northern Irishman got the beers in and waited for my friends to finish work. “Precious time is slipping away, but you’re only king for a day” – Van Morrison. 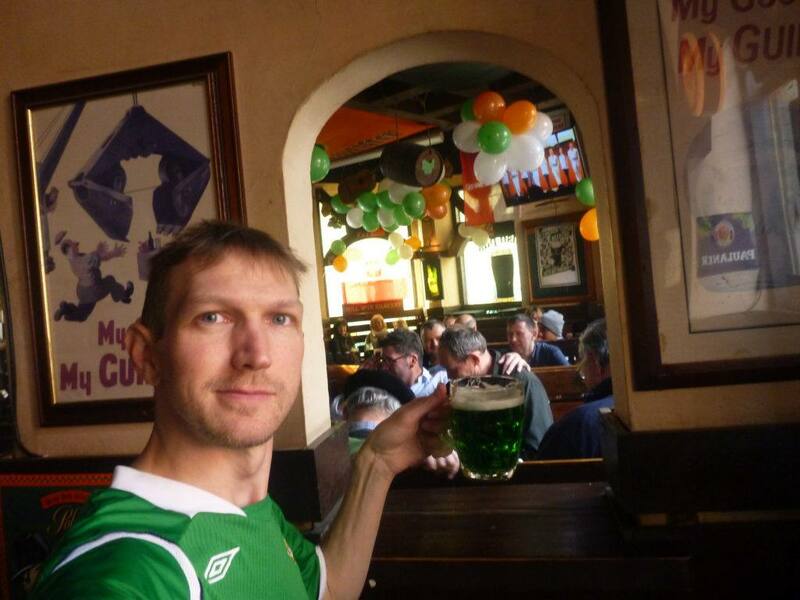 After working myself of course, on my writing, planning my upcoming Krakow trip and teaching Special St. Patrick’s Day English lessons in the morning, it was time for my first beer – a green Polish beer – zielone piwo! “I spent my money on women, fast cars and booze. 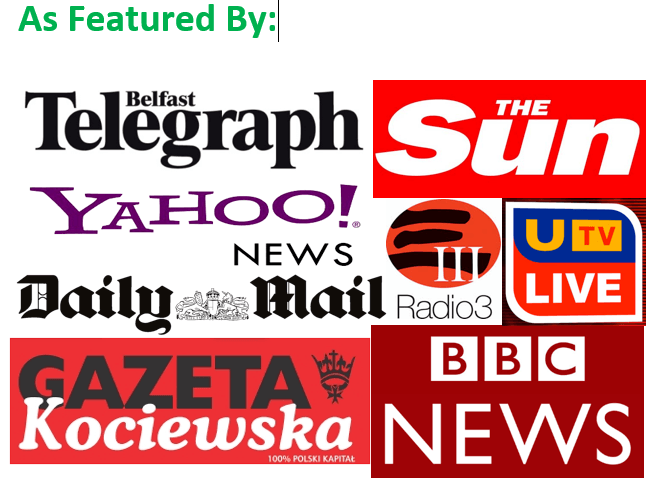 The rest of it…I wasted” – George Best. 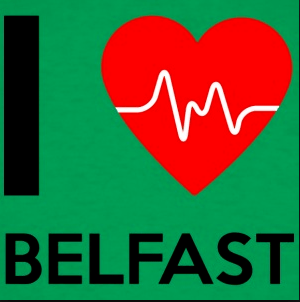 “Sweet Northern Ireland, good times never seemed so good” – NOE NISC and later SOE NISC. 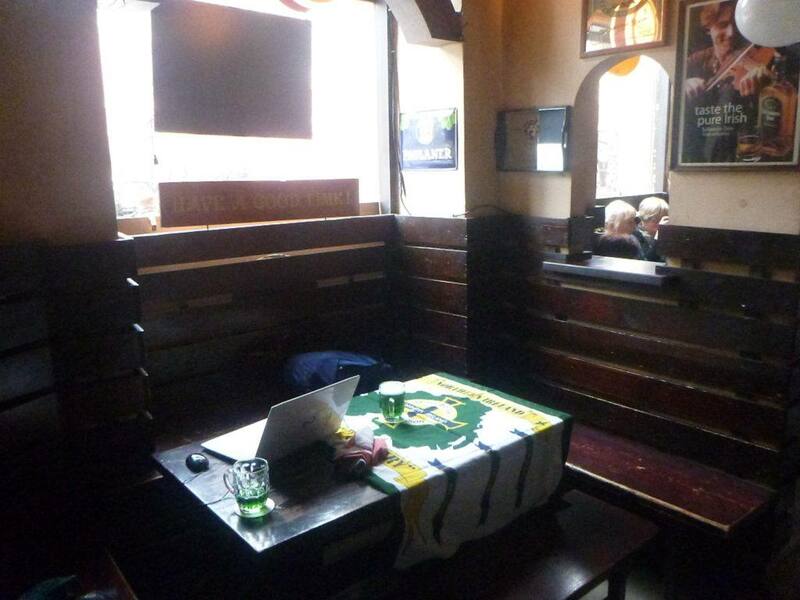 But soon, I put the laptop away and was joined by locals who were happy to sit there and move when my mates had arrived.A few more photos from the first few hours before it got busy, noisy and crazy! 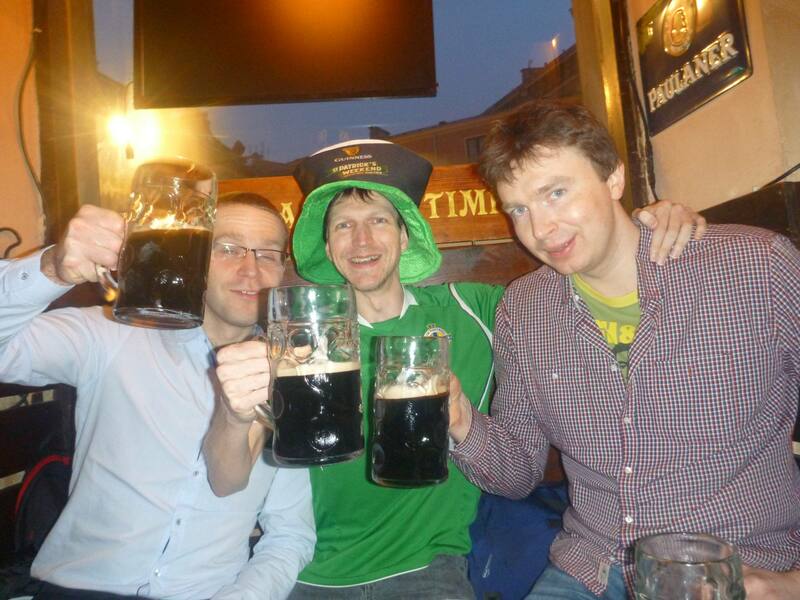 I stuck to the green beer at the start before moving onto not just Guinness but Polish rarity, BELFAST Beer. A surprise was in store when Mark arrived with Tayto Cheese and Onion crisps too – amazing! 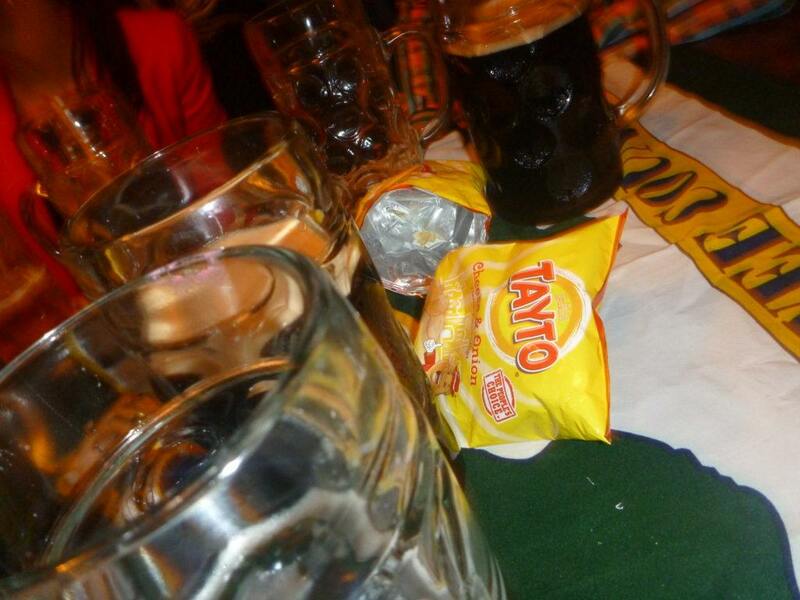 Tayto Cheese and Onion arrive! 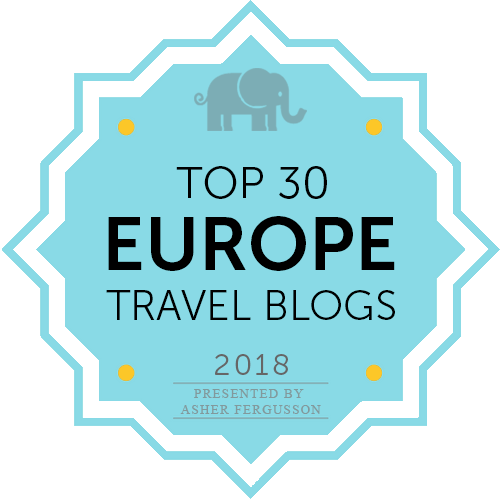 Thanks to Mark! “If this is peace, what are we to class as war?” – Omagh survivor, 1998. 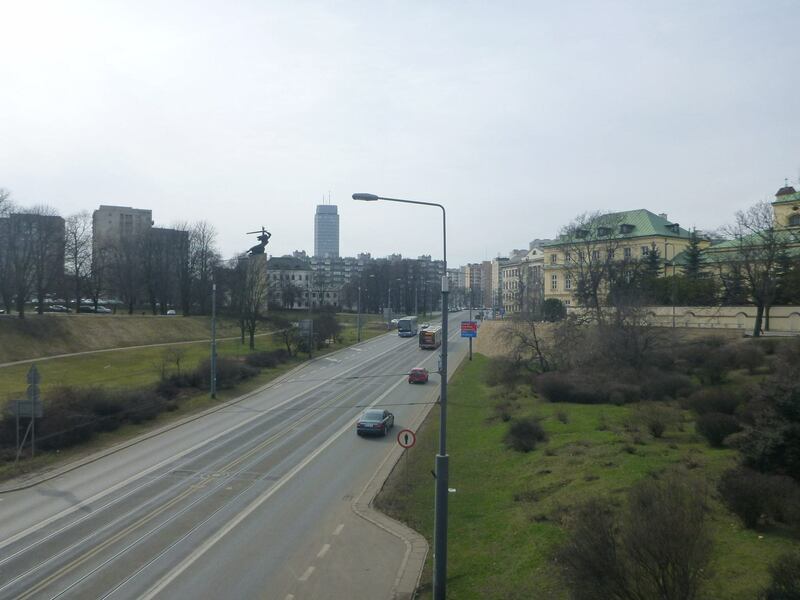 Soon Mark and Dervla were here, Przemek arrived, I spoke to the locals near me and then I heard from Rafal that he was ill and wasn’t coming. Rafal Kowalczyk is a friend since 2005 when we worked together in Bournemouth and had been my best mate since relocating to Warsaw. 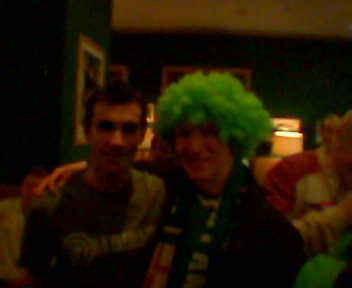 Having had a few beers by this point, I believed him, I really thought he wasn’t coming, I felt sad that he wasn’t coming. 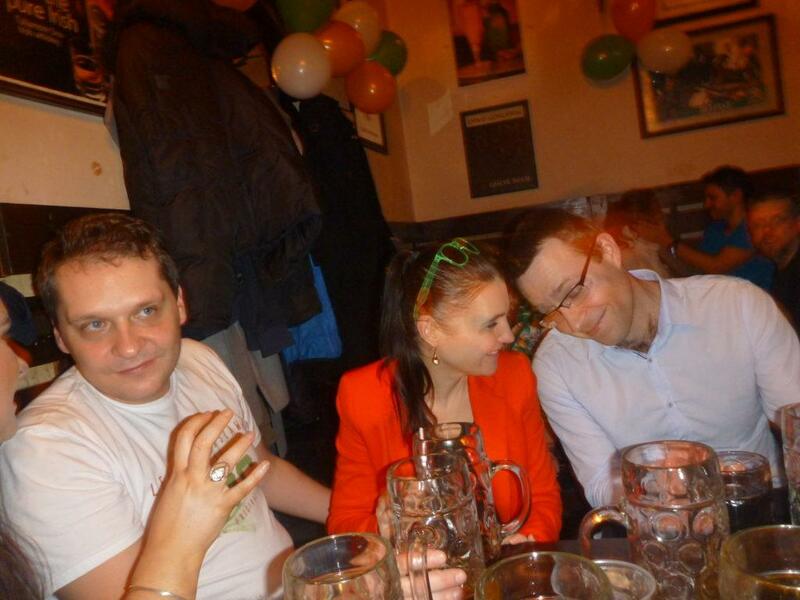 But it was a wind up – Rafal was “geggin me”, he was joking! 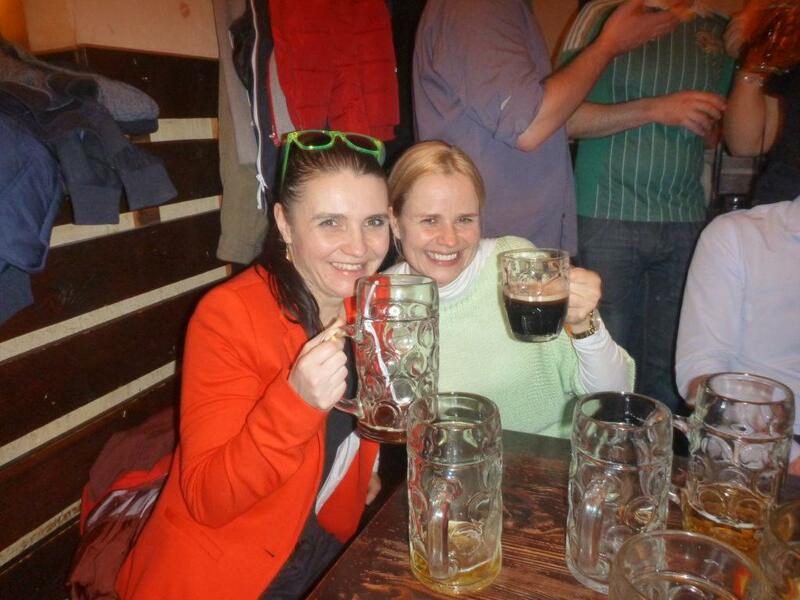 Then within minutes Rafal comes in and hands me a huge jug of black beer despite me saying that I was getting the first round in! The party was in full swing. “The flegs upside down so it is” – Ian Paisley (when arriving at the European Parliament). “Will Grigg’s on fire, your defence is terrified, Will Grigg’s on fire” – Wigan Athletic Fans. Piotr and Monika arrived, also despite the fact Piotr had a dodgy knee. 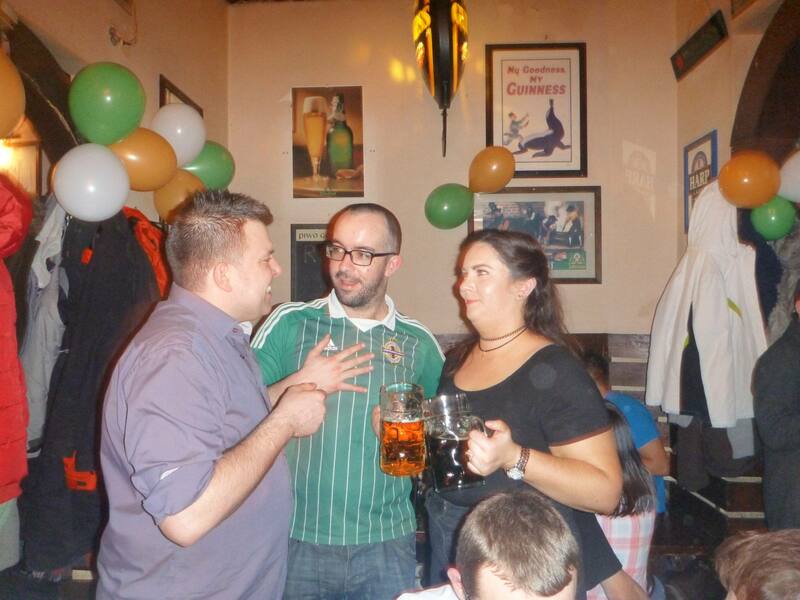 Adam, Ania and Wojciech all arrived soon and the only absentees were a few friends I had invited late notice, including Artur Gorecki who is busy planning his wedding! I was buzzing to see Mark again as he went to Cardiff in 2004 to watch Northern Ireland draw with Wales and to Old Trafford in 2005 to watch us draw 0-0 with England (half-time score at least ;-)). “They can come and see me and I’ll tell them” – Alan McDonald. 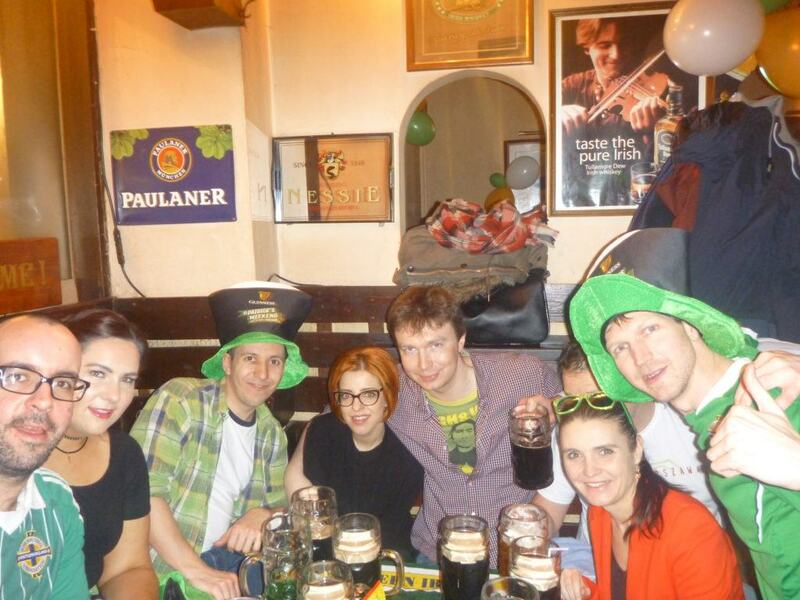 Mark and Dervla on a Piątkowe Picie: Celebrating Dzień Świętego Patryka, St. Patrick’s Day at Irlandzki Pub, Warsaw. Brilliant to see Mark again, and meet Dervla for the first time. 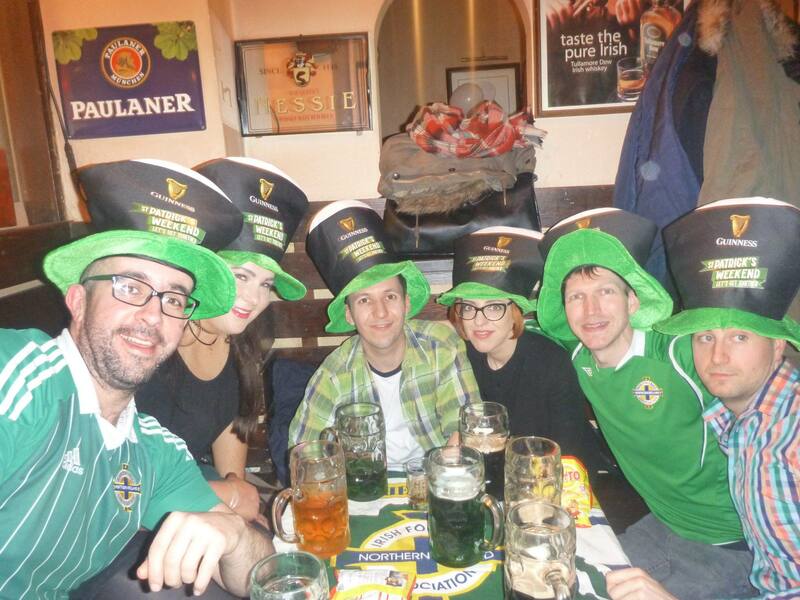 Mark and I were soon singing Northern Ireland football songs now and we were given free St. Patrick’s Day hats for our lunacy. That made it 6 hats in 9 years for me. “The little Lord Jesus laid down his sweet head. 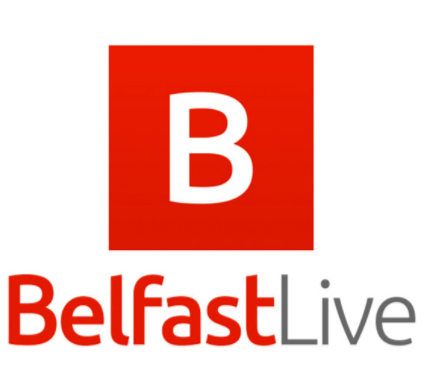 The stars in the bright sky looked down where HEALY” – Coleraine FC fans. “The boys are back in town” – Thin Lizzy. 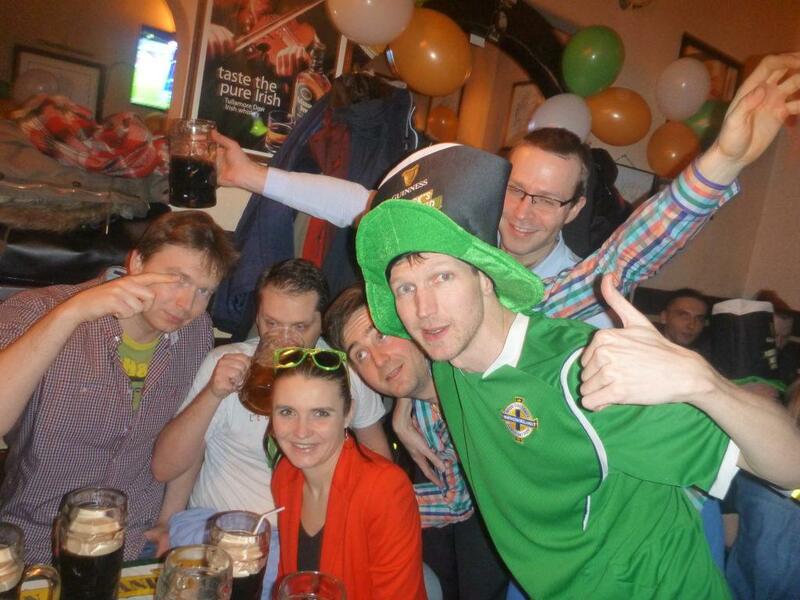 “We are never gonna survive, unless, we are a little crazy!” – Seal (not an Irishman!). 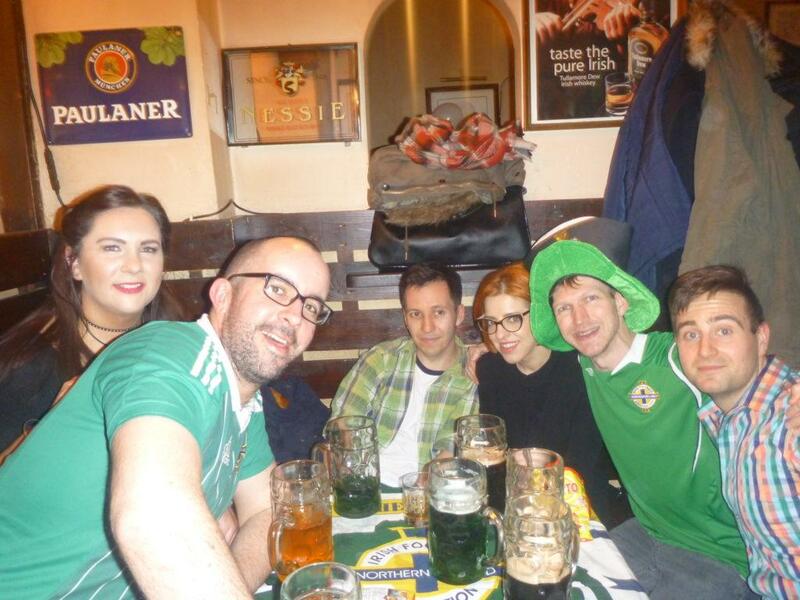 We were teaching Piotr and Monika the words to “Brown Eyed Girl”, we had Rafal on the “Will Grigg’s on Fire” bandwagon. 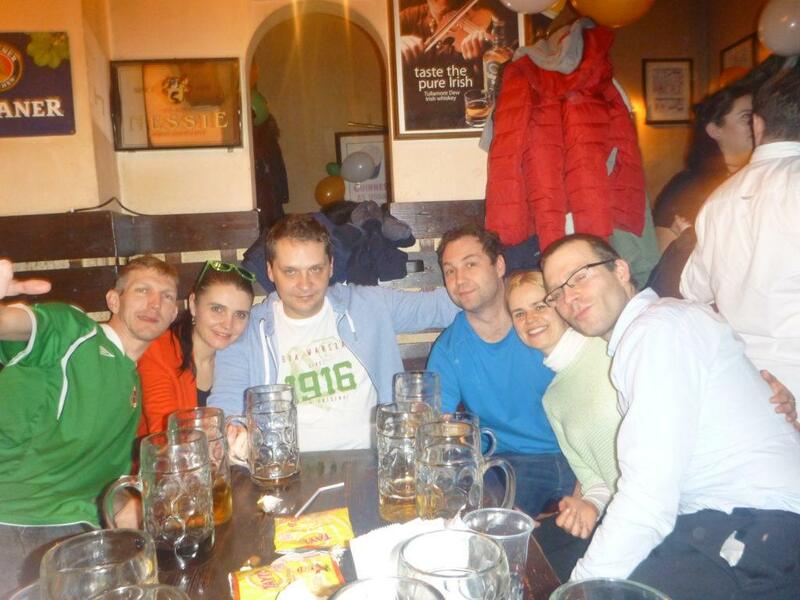 I had asked all my friends to “wear something green” and at first it was hard to find it, but Piotr had a Legia shirt with white and GREEN, Monika, had GREEN sunglasses, Ania had a MINT GREEN jumper and Rafal wore a yellow and GREEN t-shirt underneath his trademark shirt. “Legia. Legia Warszawa. Legia. 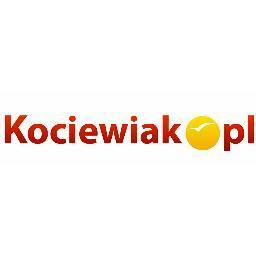 Legia Warszawa.” – Rafal Kowalczyk. “Alan Connell Alan. Alan Connell Alan.” – Jonny Blair. 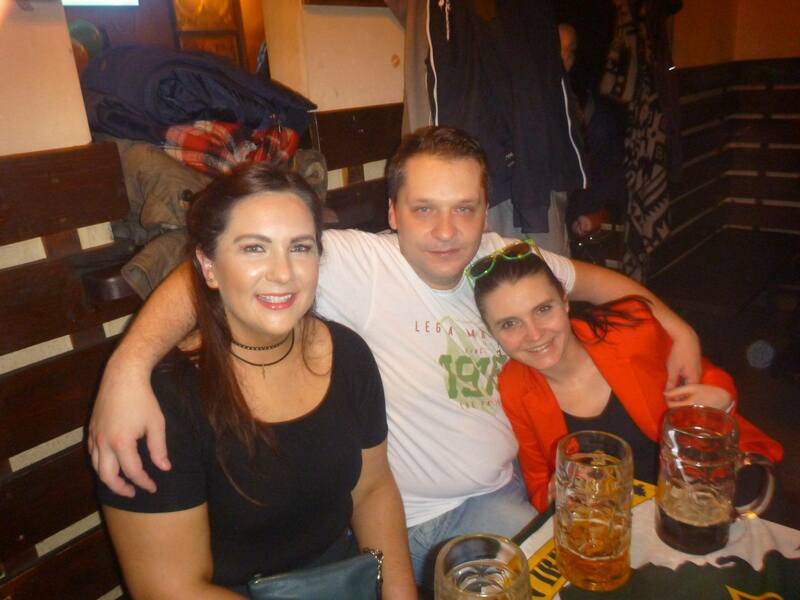 Dervla, Piotr and Monika on St. Patrick’s Night in Warszawa City! Up rocking to the band and dancing like a lunatic! 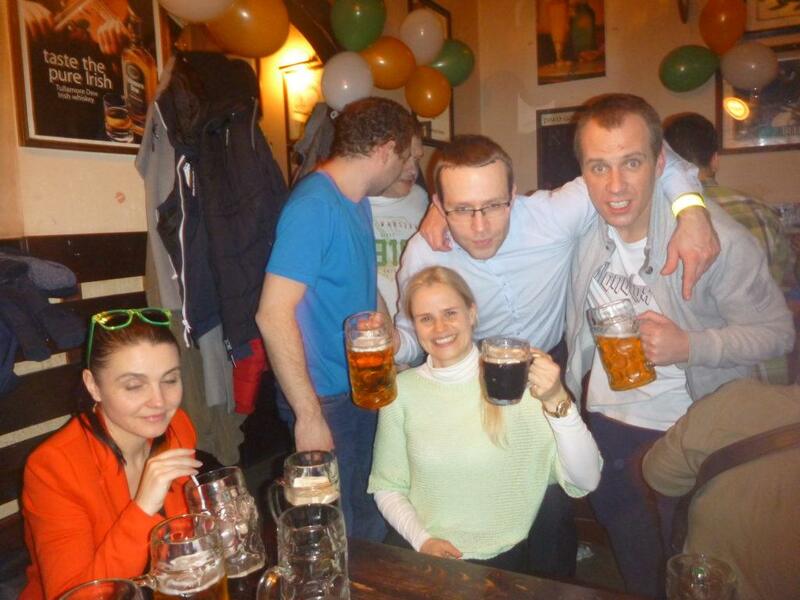 An all Polish photo – Wojciech, Przemek, Adam and Monika and Ania. Still time to chat in amongst the drink! 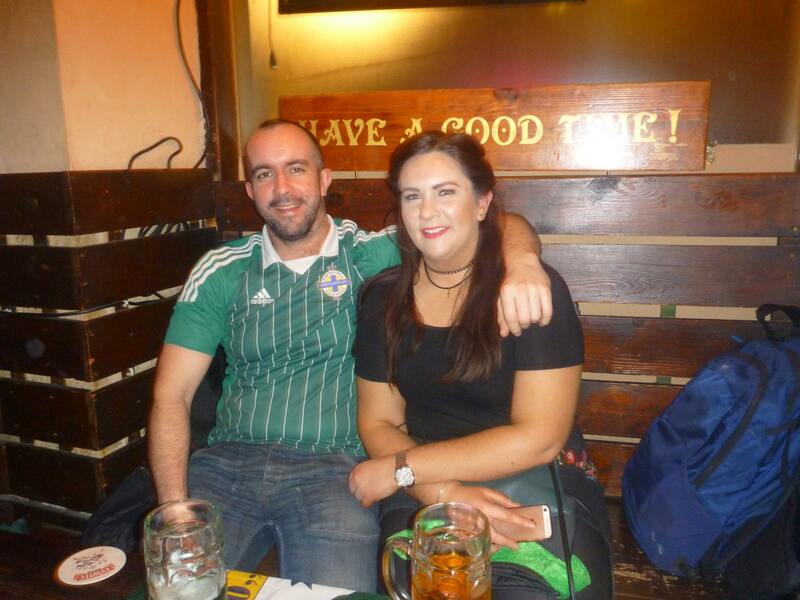 Mark, Dervla and the Poles. The evening, as you can imagine got heavy. We listened to music, we drank, we sang. Mark and I singing!! Bo bez ciebie nie ma nic! 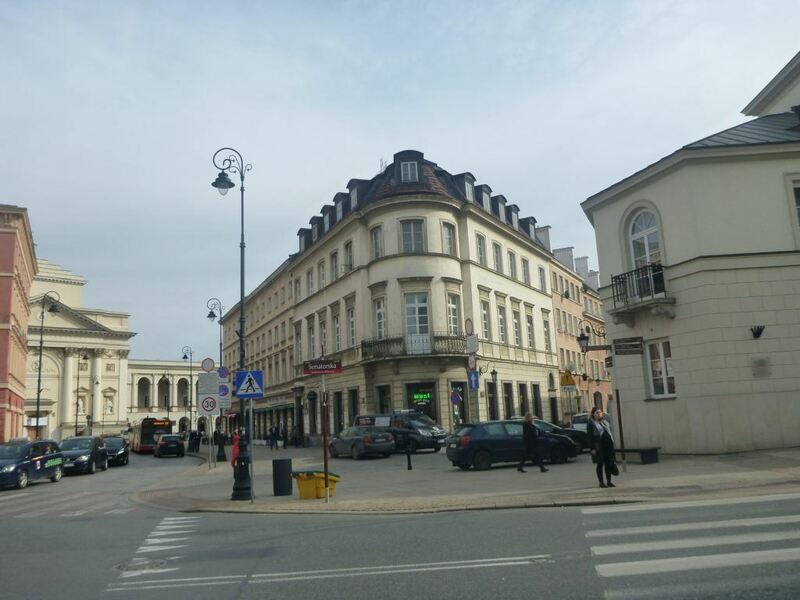 At some point, we realised too long in one venue took its toll so I followed everyone to the trendy Manhattan Pub in Pawiliony just off Warsaw’s swanky Nowy Swiat (their Royal Avenue as a Belfast child, or Oxford Street as a London boy). There was time for more greenery, beer and finally, this child succumbed to a kebab and a late Metro home. It was fun, so much fun. I smiled for real. 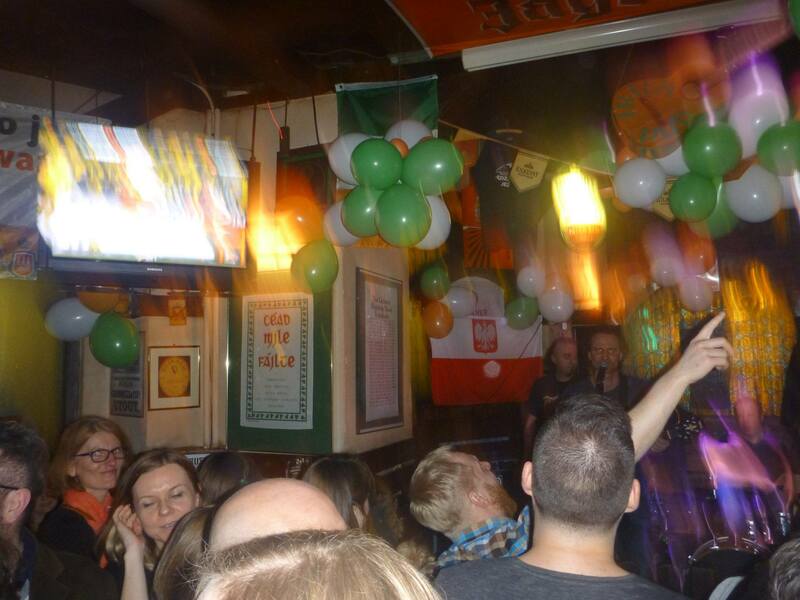 With HUGE thanks to Irlandzki Pub Warszawa, my legendary friend for life Rafal Kowalczyk, Bangor’s own Mark Fisher and all my friends who celebrated with me. We are truly blessed! 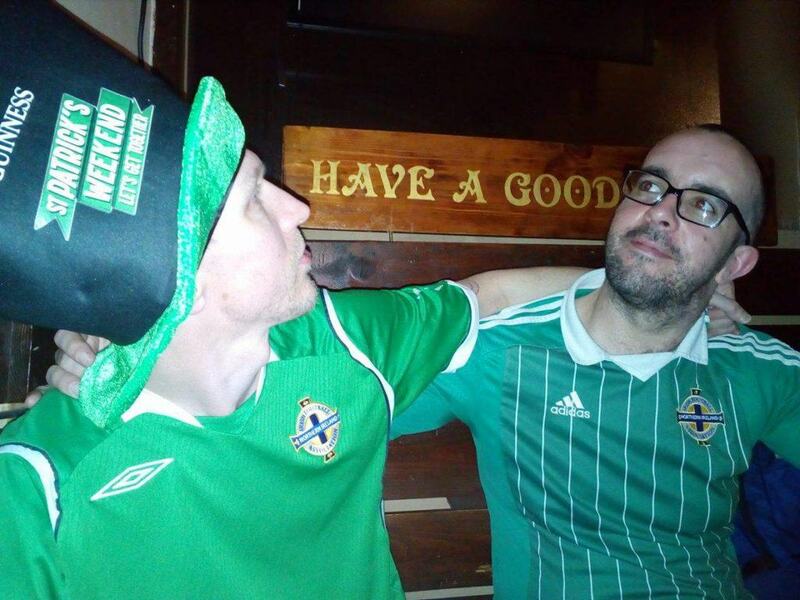 “We’re not Brazil, we’re Northern Ireland” – Stewart McAfee. 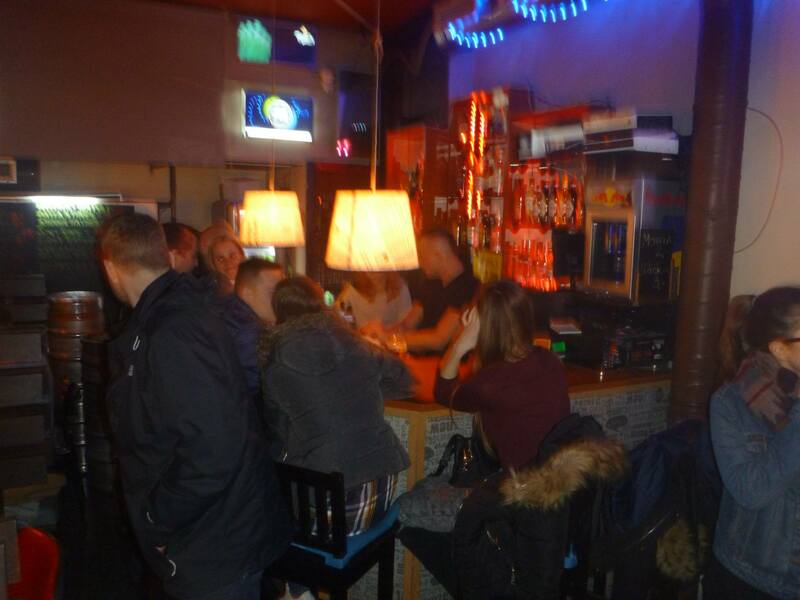 This entry was posted in Bars, Culture, Piątkowe Picie, Regular Features, Warsaw. Bookmark the permalink.